Established by Chinese from Xinhui and Heshan. The two areas were known as “Kong Chow.” In 1891 the first clubhouse was built in Los Angeles, California. The Kong Chow Temple, the Taoist Temple on the second floor. It is situated in the same building as the club house and is devoted to Guandi, lord of thriving and battle. The building was built in 1941 alongside whatever is left of the old Chinatown of Los Angeles annihilated to clear a path for another railroad station. After thirteen years the affiliation had again a union building, which was alongside that of the Los Angelese division of the Chinese Consolidated Benevolent Association. Kong Chow association was born in San Francisco around 1849. In 1891 in LA a ten year lease was gained on a little plot of area off Ferguson Alley in Los Angeles. 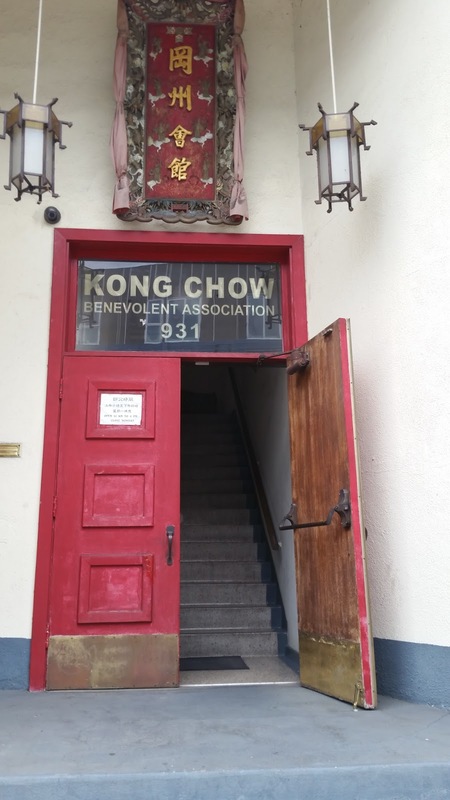 With help from KC members from San Francisco a rather unassuming two story block building was the start of the Kong Chow Association of Los Angeles the second floor devoted to a temple. On the second floor of the Kong Chow Benevolent Association was the Kong Chow Temple, with its eight-foot overlaid Kwan Gung encompassed by relics and gods. Men (and a few ladies) supplicated there for alleviation from their brutal work conditions and safe come back to the tribal country in Quantung, China. As Professor Kwan Ming Chan clarifies in her meetings, an early type of social hybridity started to develop inside of the dividers of the sanctuary, praising the achievements and goals of Chinese migrants who were flourished in America. The Kong Chow Association and Temple stayed in Old Chinatown until 1947, when the City wrapped up the destruction of Old Chinatown, moving even the otherworldly focuses to New Chinatown as a last stride in the development of Union Station started in the 1930’s. Today, the affiliation and its Temple are situated off Broadway Blvd. in New Chinatown. Call the relationship for a direct visit to this astonishing gem of Los Angeles’ history.